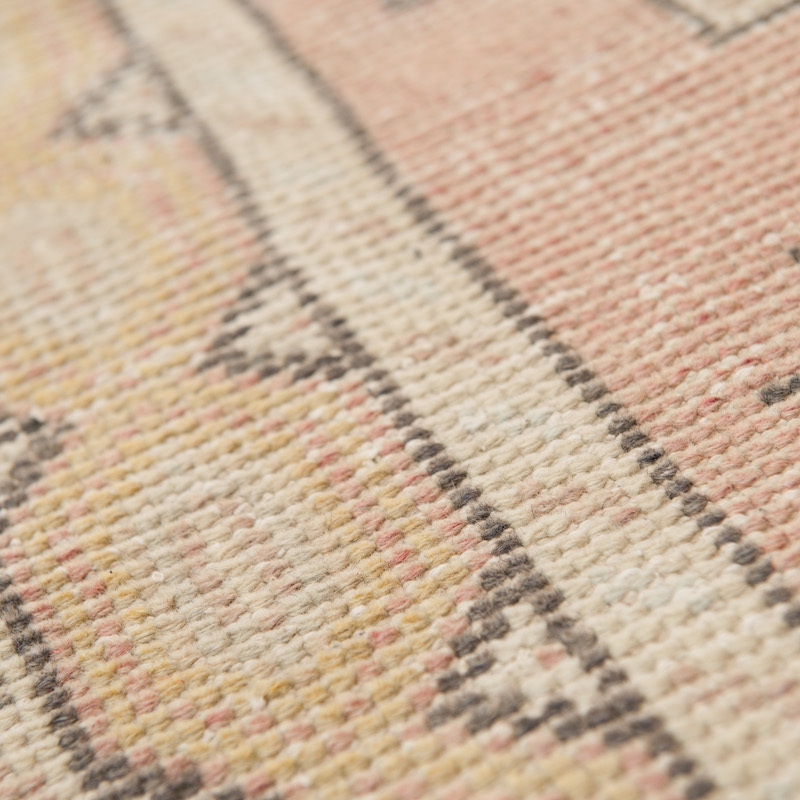 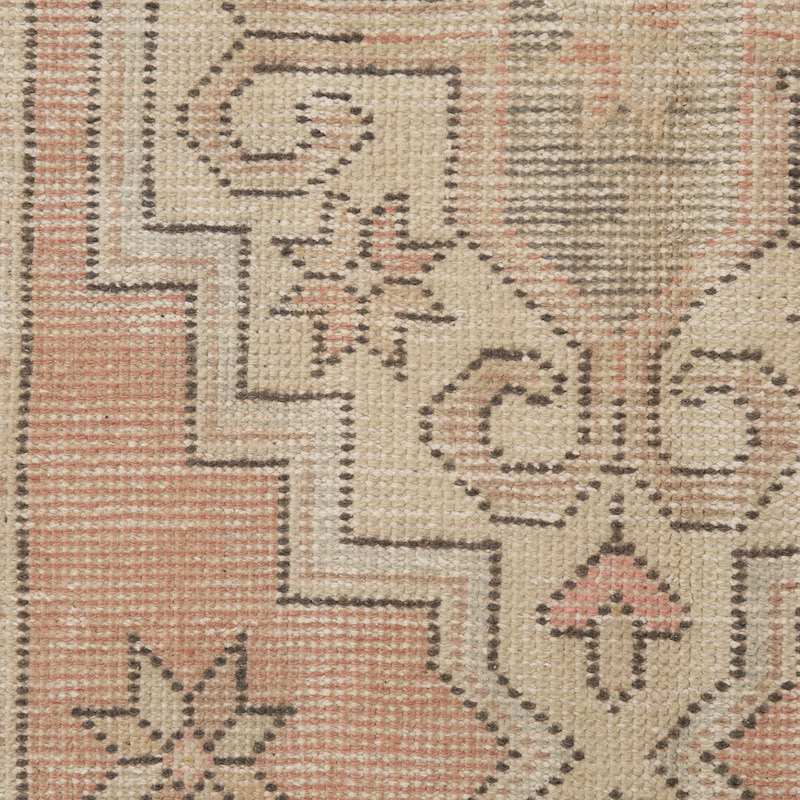 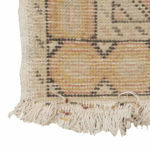 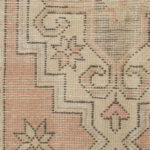 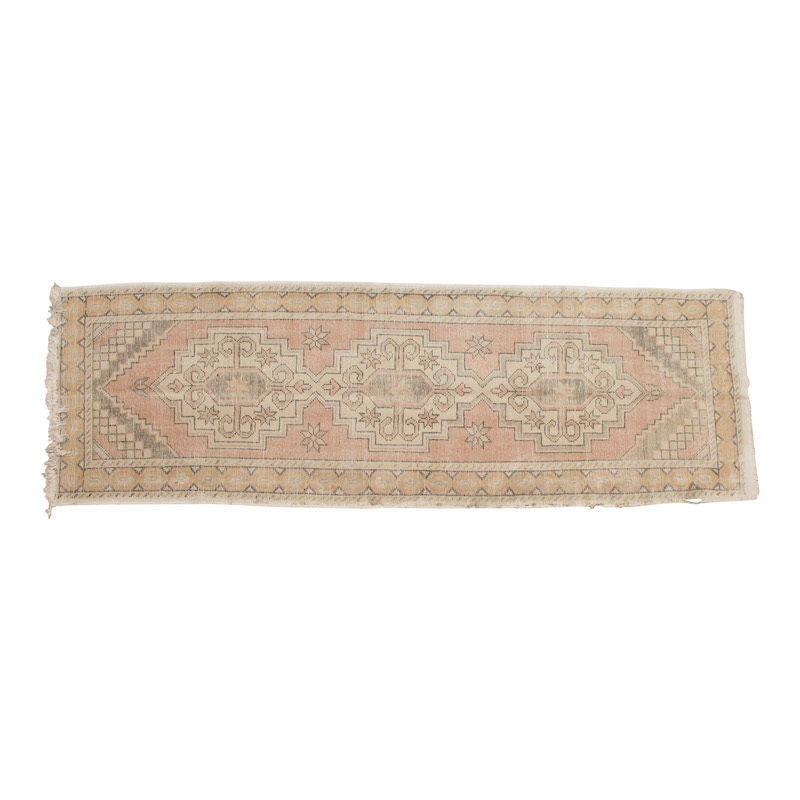 Vintage Turkish runner in muted pink, tan and yellow. 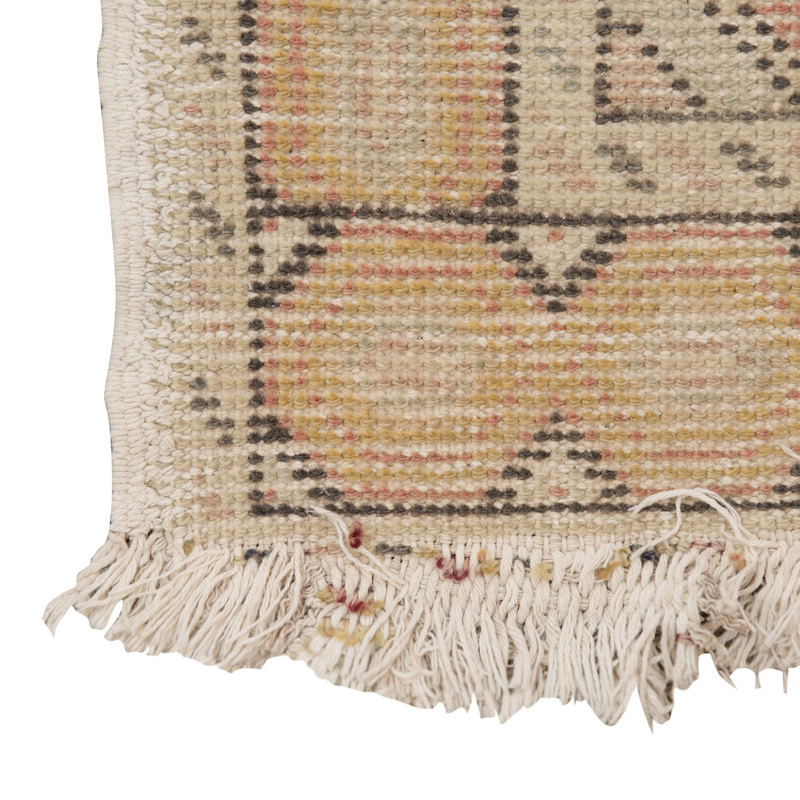 Shaved down to a low pile. 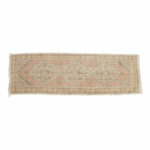 Great for a ceremony aisle or for layering.